Paying It Forward: A Giveaway Contest! 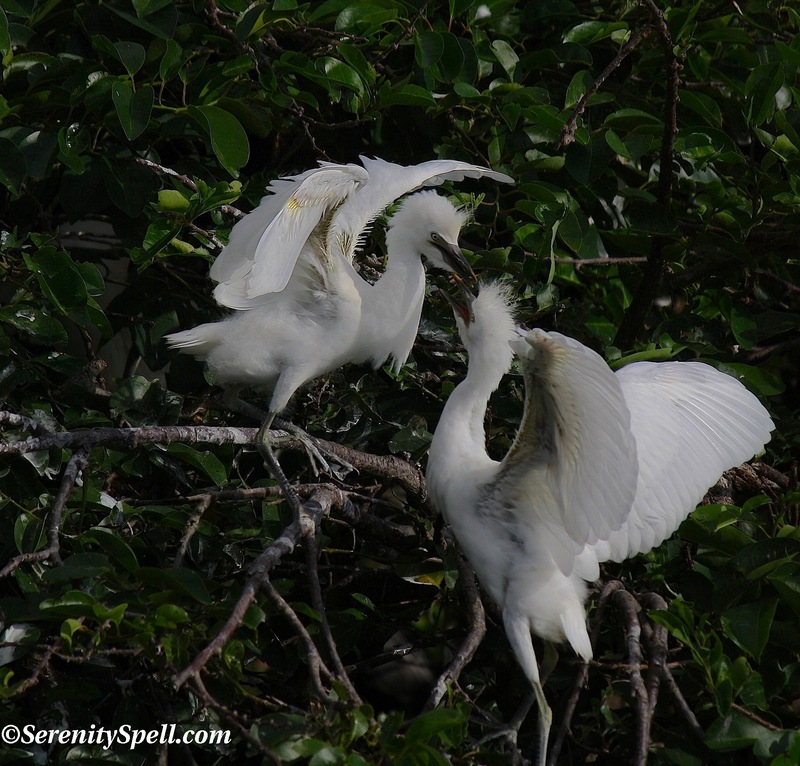 I doubt these juvenile cattle egrets are actually enjoying each other’s presence — they’re most likely fighting for nest dominance — but for our purposes, it’s gifting-time! I thought this was a wonderful idea, forwarded by Long Life Cats and Dogs — who in turn was shared it by another blogger. THANKS! So I’m now paying it forward with a giveaway-contest. I LOVE the idea of giving back to such a generous, kind, and talented group of people. Besides, making, giving, and receiving = FUN! The first three people to comment on this post will receive a gift, a little homemade something, with our Everglades at heart (of course, no critters were harmed in the making of said gift). In order to receive your gift, you must play along. Spread the love on your own blog, promising to send a little special something to the first three people who comment on your post. Pay it forward! You get 72 hours to re-post, or I’ll move on to the next person. Sorry, apparently there are RULES. Ooooo – I can’t handle something with Rules! Haaa! Ditto. It worried me too; I just loved the concept of gifting — but I think that worries many! Heh!! GOOD FOR YOU! Brave! 🙂 Perhaps others are hesitant to send gifts — or they’re scared of my gift, hahha! Fantastic photographs, full of magic and charm. Lovely bird like a fairy prince!